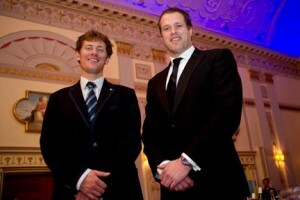 I’m 5ft 8″ and (not forgetting the) three quarters; I stand as tall as any average man but this wasn’t enough when I was in a room with both the Oxford and Cambridge Boat Race teams for a charity dinner event hosted by Martin Bayfield (the rugby international) I may have exaggerated the height a little with the camera angle in the far left photo but it felt like I was a small child again. So they all go to a top university, they are all tall and they are all fine specimens of athleticism (I wasn’t the alpha male in the room today). The client was MBN Promotions and I’ve photographed many sports stars, old and new, for them over the years.